With great schools, beautiful neighborhoods, year round sunshine, and plenty of outdoor activities, you couldn’t possibly find a better place to call home. Explore Seminole County real estate like never before. 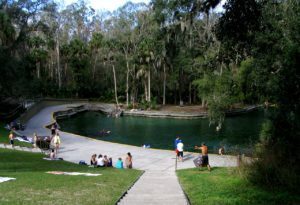 Located north of Orlando, Seminole County has the best of both worlds. You are so close to all of the wonderful attractions central Florida has to offer, without all of the overwhelming crowds. From swimming in crystal clear springs, air boat rides and wildlife preserves, to exciting nightlife, fantastic shopping, and luxurious homes for sale, Seminole County has got it all.. Many of our wonderful communities and neighborhoods have the best amenities built right in for you to take advantage of. Whether you enjoy golfing, tennis, swimming, or exploring new walking or biking trails, there’s something for everyone to enjoy. There are many gated communities to provide a sense of security, and with homes for sale in every price range, you’re sure to find the perfect home for your family. Seminole County is home to some of central Florida’s most spectacular natural beauty. From the serenity of Wekiva River to the adventure and discovery of Central Florida Zoo and Botanical Gardens, you will feel like a tourist year round in your new home. When you’re ready to step out on the town, we also have everything from elegant nightclubs and restaurants, to laid back riverside watering holes, as well as lakefront amphitheaters that host concerts under the stars as well as many inspiring cultural offerings. You will be proud to call Seminole County home, and we would love to help you find the home of your dreams! From Altamonte Springs to Chuluota to Lake Mary, our Seminole County real estate options are bountiful and affordable. Get in touch with one of our friendly and knowledgeable Keller Williams Heritage agents today and we’ll help you find the perfect home in Seminole County that fits you and your active lifestyle!